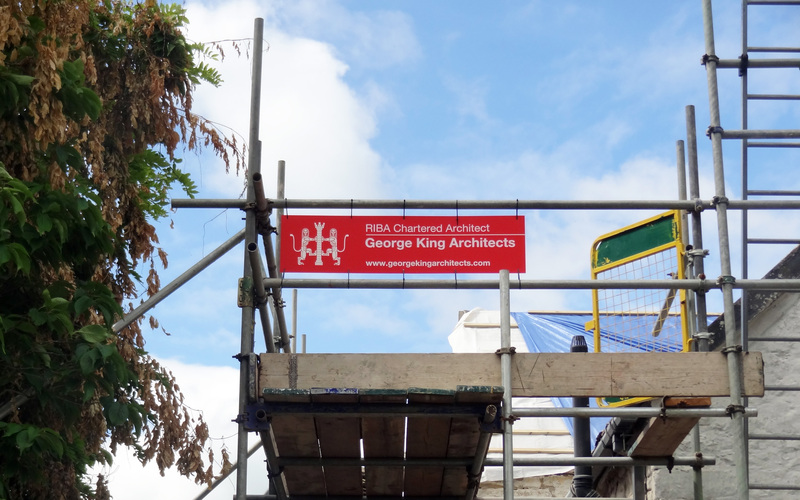 Work has begun on GKA’s latest residential project, an extension to a 17th century Cotswold cottage. Located in a conservation area and a designated Area of Outstanding Natural Beauty, the key design feature of the extension is a set of sliding glass doors which disappear behind timber bookcases to open the entire room up to the garden. Combined with a cantilevered roof structure the effect is of a room that in the summer can be completely opened up, creating an unenclosed space that bleeds into the landscape, ideal for relaxing, entertaining and enjoying the sunshine. George King Architects have been included on the shortlist for the 2015 Sousse and Bardo Memorial design competition. The memorial will be located within Cannon Hill Park in Birmingham and will commemorate the British victims of these two terrible attacks.The design competition has been organised by the Foreign and Commonwealth Office, with the chosen design to be announced later in the year. And it goes by the name of ZOMBIE BENCH! 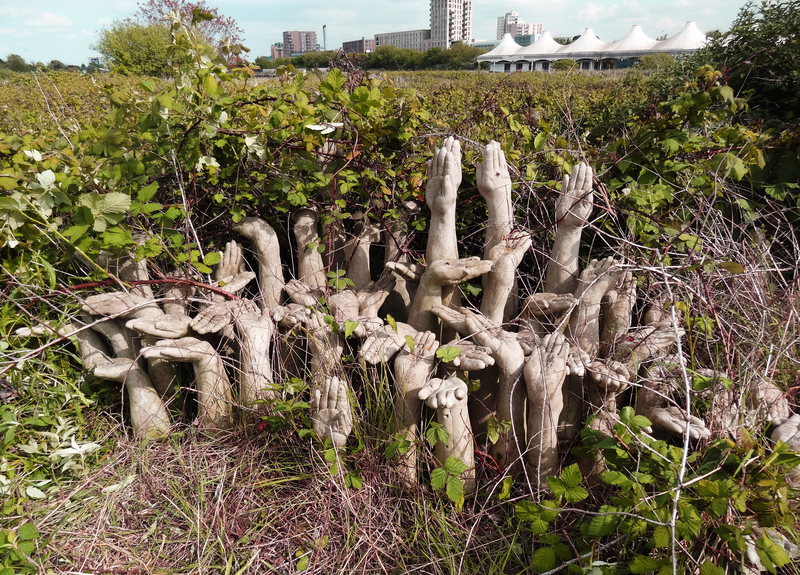 Nearly five years after George King installed his Zombie Bench as part of the London Pleasure Grounds event, GKA have been to the Silvertown development site in Newham to see how the bench has fared. Remarkably, the sturdy concrete structure has survived almost entirely intact, looking all the more surreal abandoned on the apocalyptic site! We are now searching for a new home for the bench, somewhere a little more accessible, where Zombie Bench can delight, scare and amuse the public once again! GKA have completed a hanging installation entitled One Thousand Thank Yous at the Gloucestershire Royal Hospital. 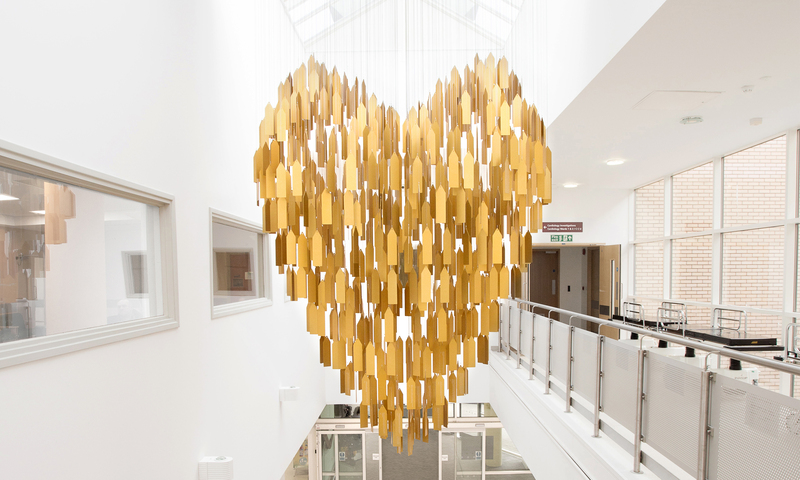 The piece was commissioned by the Gloucestershire Hospitals NHS Foundation Trust Organ Donation Committee and Partners to provide a permanent reminder of the power of organ and tissue donation and to commemorate this gift of life. The work consists of 1000 gold anodised aluminium gift tags, some inscribed with messages from transplant recipient to their donors. The tags are hung from the ceiling in the central atrium of the hospital and come together in the shape of a heart, one of the most common forms of organ transplant, providing the gift of life to hundreds of people each year. As well as recognising and thanking all organ and tissue donors, One Thousand Thank Yous forms part of a wider NHS campaign to raise awareness about organ donation. 2016 has been a busy year for GKA with four competition wins, planning permission for two projects and two more in the pipeline. It looks like 2017 is going to be even busier, with seven projects due for completion including our glowing Stargazer’s Cabin featured below which will be lighting up Eastbourne beachfront in time for summer! We hope you have a wonderful Christmas and wish you all the very best for the New Year!